Scottsdale’s weather welcomes locals and tourists alike, but it also has a climate that is friendly to business. The guitar and musical instrument manufacturer moved to Scottsdale from Orange County in the early 1990s. Fender had deep California roots, since founder Clarence Fender started making guitars in Fullerton, Calif., in 1946, but the environment had become less conducive to doing business. That’s where Scottsdale came in. “Scottsdale was standing up saying, ‘Come over here, we’d love to have you!’” said Richard McDonald, chief product strategist at Fender. Today, Fender is a global company with corporate offices in Scottsdale, Hollywood, Tokyo and London. But Scottsdale continues to play a key role. “Scottsdale was and is a stronghold for us,” said McDonald. Besides being a nice place to live, the city has an employment pool that McDonald says fits Fender’s unique needs: technology-minded folks who also love guitar-playing. Husband and wife Nick and Holly Janicki opened their first float spa in Scottsdale in 2009, after researching similar spas in Hawaii and Europe. At the time, the float spa on Shea Boulevard was one of only 15 of its kind in North America, according to Mandy Rowe, franchise opportunity officer for True REST. “We’re a destination location,” Rowe said. As visitors sought out the experience of restricted environmental stimulus therapy in darkened saltwater flotation tanks, the franchise began to grow. Now, Rowe says there are six True REST float spas in the Phoenix area, 17 across the U.S. and 20 more under construction. Details: Valley locations in Glendale, Scottsdale, Tempe, Chandler and Gilbert. www.truerest.com. When childhood friends Keely Newman and Kelley Bird moved to Scottsdale, they found both a need and a market for healthy fast food restaurants. Building on recipes they used at home, the duo opened their first Grabbagreen food and juice restaurant on Frank Lloyd Wright Boulevard in 2013. “It’s such a health-focused neighborhood,” said Morgan Vanderwall, public relations and social media manager for Grabbagreen. With support from the health-conscious community, a second store opened on Shea Boulevard just a year later. There are now 19 Grabbagreen franchises nationwide, including six in Arizona, and Vanderwall expects 20 more to open in 2017. Vanderwall credits much of the company’s franchising success to word-of-mouth advertising, with many franchise agreements coming about just from visits to the Scottsdale stores. 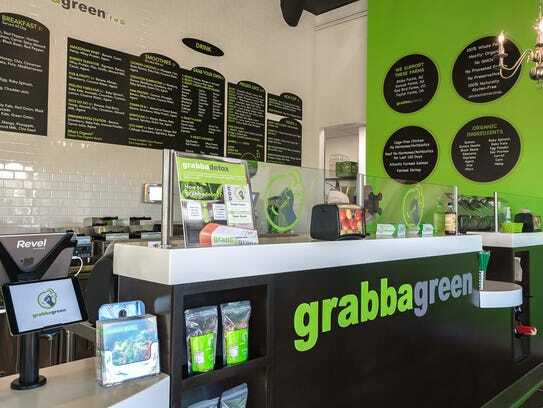 “Half of our franchisees are customers who just happened upon Grabbagreen, fell in love with it and took it back to where they live,” she said. Details: Valley locations in Gilbert, Phoenix and Scottsdale. grabbagreen.com. Founder Bob Parsons started the domain name registrar in 1997 as Jomax Technologies, and it was re-named GoDaddy two years later. With 17 million customers worldwide, the company has been headquartered in Scottsdale for over a decade, according to VP of Engagement and Inclusion Katee Van Horn. “Scottsdale is a great home base,” said Van Horn. 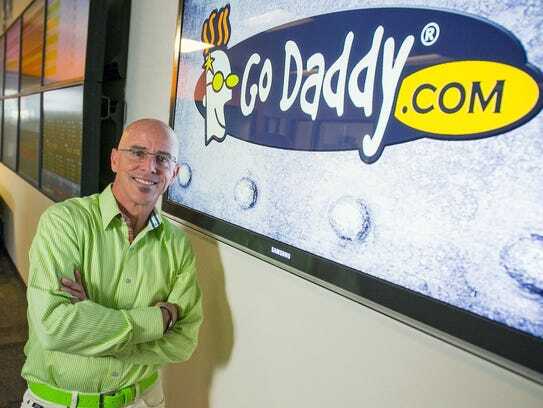 She calls GoDaddy “a homegrown business,” referring to the company’s Arizona roots, and says that many GoDaddy customers are within just a few miles of the Scottsdale headquarters. This local mindset persists at headquarters, too, Van Horn says, because the Scottsdale location still retains many of its original employees. Founded in 2002, the massage and skin-care service provider is also headquartered in Scottsdale and has franchise locations in 49 states, according to Massage Envy. By virtue of having more than 1,150 franchise locations nationwide, the company claims to be the single-largest employer of massage therapists and estheticians in the U.S. Details: The company has 32 locations Valley-wide. www.massageenvy.com.